What is that noise, a bump in the night or a stirring in the darkness? 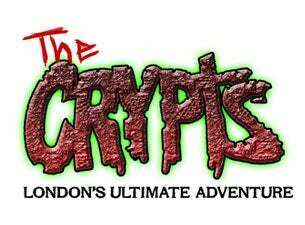 Or could it be the unveiling of the fantastic new attraction, The Crypts, formally The London Bridge Experience and Tombs! This is an exciting time for all Roman soldiers, bloody executioners, giant rats, Victorian bartenders, Ghouls, Zombies and visitors alike. Enter our time portal and visit our thrilling new show this summer. Enjoy the tale of Queen Boudicca's battle with the Romans in AD60, but be aware of surprises in the dark and a few early jumps. If you've survived thus far continue your adventure with caution as you cross the cavernous infinity floor in the thick fog and perilous setting of Viking King Olaf's rule as he pulls London Bridge down in 1012! If you're still alive why not try out a spot of hanging, drawing and quartering and let our expert executioner show you the bloody details accompanied by our two Giant Gambian Pouched Rats? Learn about the trades that took place on the shop lined bridge of the 1600’s then run down the burning bridge avoiding the great fire of 1666. En route, brilliant life like models will make you look twice, and new animatronics will make you jump out of your skin. Finally, travel through the Terror Time Tunnel to emerge in the present, and if you're feeling brave you can choose to face your fears and descend into in the former plague pit where a few more surprises will chill your bones. Guests are sure to be met by their deepest darkest fears, whether it is clowns, dentists or live zombies! The Crypts is the home of the UK's best scare attraction. The guardian angel tour is also available for younger guests allowing them to experience the tombs in a less scary format.